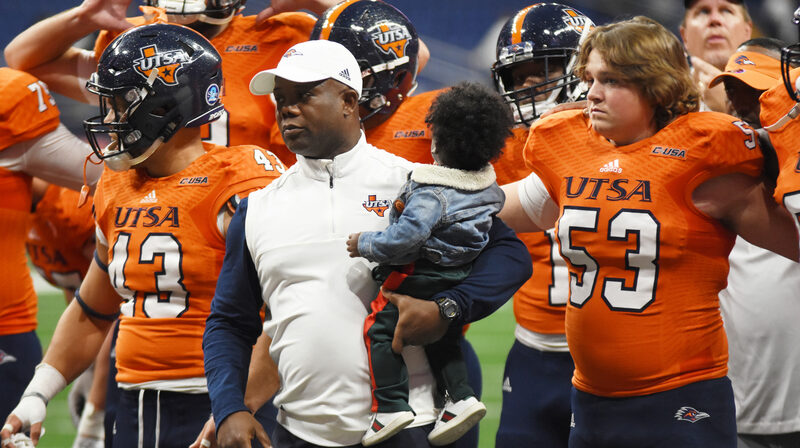 This past Saturday, UTSA hosted the FIU Panthers at the Alamodome. Entering the game, the Roadrunner’s record was 3-6 (2-3 C-USA) versus the Panthers 6-3 (4-1). 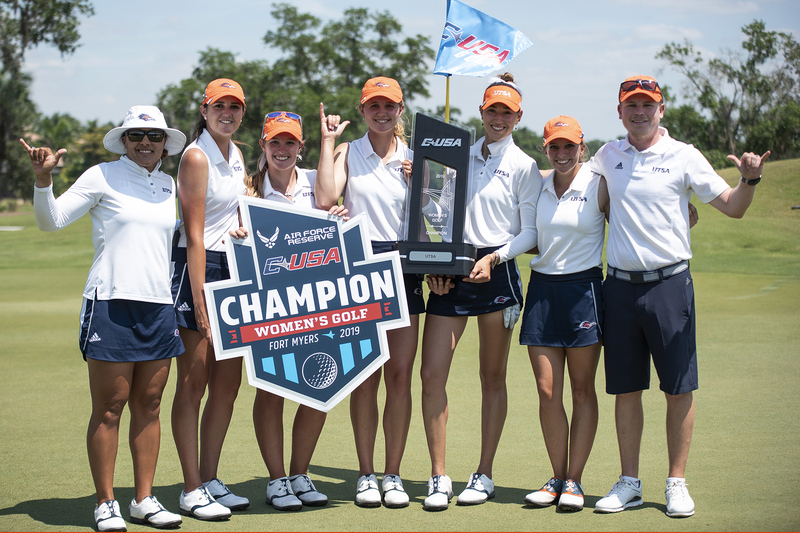 After a tough road loss against the UAB Blazers, the ‘Runners were looking to snap the losing streak. Quarterback D.J. Gillins got the starting job for the week. On the first drive, a UTSA pass, tipped by the defense, resulted in an FIU interception. Yet the defense prevailed as they held FIU to a three-and-out, along with a missed field goal attempt. Both defenses put up a good fight, finishing the first quarter 0-0. FIU scored their first touchdown within the first two minutes of the second quarter, taking the lead. Later in the second quarter, a two-yard rush pushed their lead to 14-0. An FIU field goal, as time wound down, ended the first half, 17-0. Halfway into the third quarter, FIU quarterback James Morgan connected on another touchdown, creating a 24-0 gap. 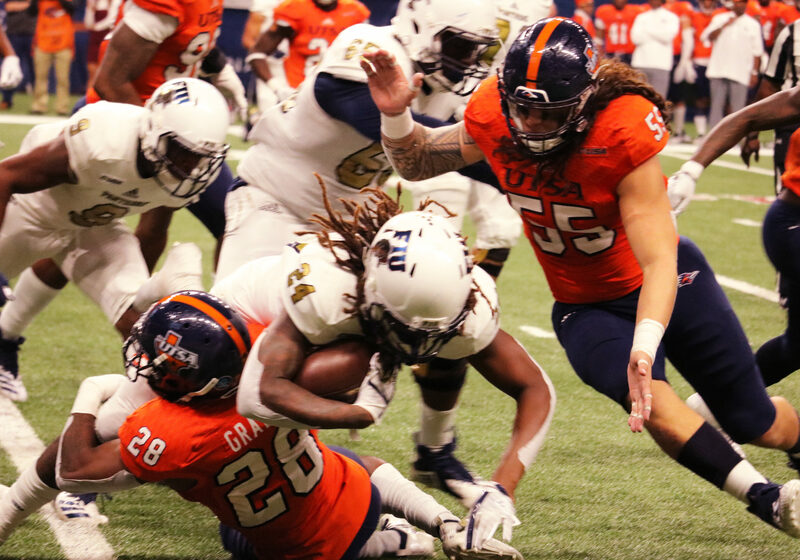 Once it looked like UTSA was beginning to gain some momentum, another interception kept the offense off the field. Another fourth-quarter touchdown added to FIU’s lead, 31-0. D.J. Gillins searches for an open receiver to pass to. To add insult to injury, a pick-six for FIU had the Roadrunner’s facing a shutout, making it 38-0. The backup quarterback for FIU, Christian Alexander, put up a rushing touchdown himself. With the extra point, it gave FIU the 45-0 lead. On a drive that was seeing some momentum, Gillins went down with an injury. Backup quarterback Bryce Rivers came in, and on his first play threw a 36-yard touchdown pass to Tykee Ogle-Kellogg, keeping the ‘Runners away from a shutout. Though avoiding the shutout, overall there was a gloomy setting in the crowd. The attendance for the game was 16,874, the lowest in program history. The Roadrunners put up a total of 245 total yards on offense, as opposed to FIU’s 453. 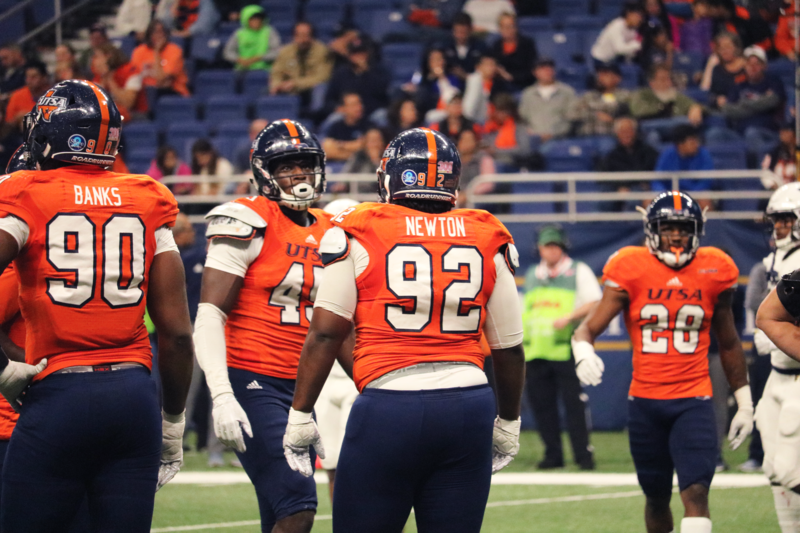 Hopefully, the team can shake off this loss and give it their all for the seniors in the next two games, as they play Marshall on the road this Saturday and UNT the following week at the Alamodome. The next home game will be on Senior Day, Nov. 24, at 6 p.m.